On our way back from Paete, we saw signs to Lyger Zoo. Did some Google research and saw that it is a Tiger Sanctuary. So we decided to check it out. 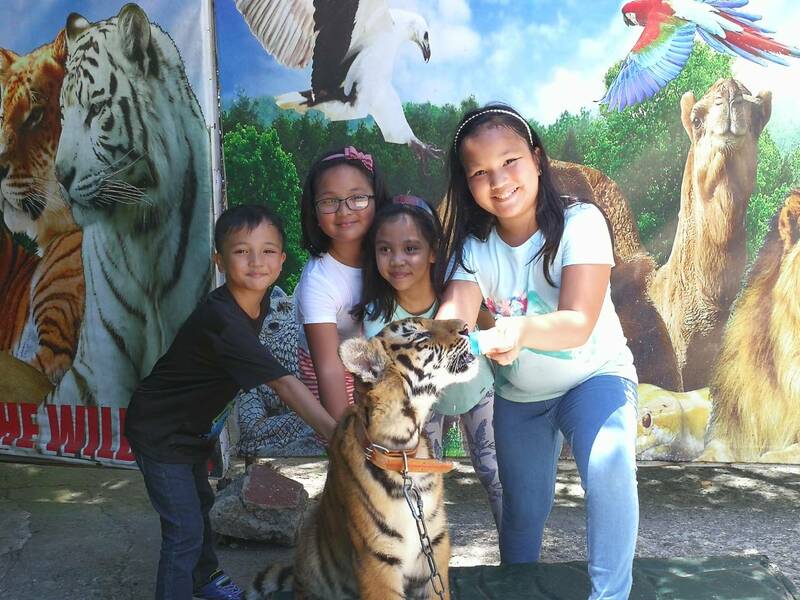 It is a few minutes off the Manila East road, and it is a small zoo. Takes about an hour to go around it. P200 for adults, and P160 for kids 7 and below. There are guides to take you around, just give them tips after. You can feed animals for P20, except the Tiger which is P100. There is a camel, crocs, lions, tigers, lygers, snakes — interesting to see so many animals, actually. It isn’t as developed as Avilon Zoo, but it is a nice place to visit! Sabine got her thigh “bitten” by the tiger after the photo taking. No rabies, yet.